Bitcoin is an interesting form of currency that arose to address economic problems related to Centralized Currency. Because Bitcoin is not a physical form of currency, it can be a bit difficult to wrap your brain around how it works. It’s really quite simple. Bitcoin is a form of digital currency that was founded during the financial crisis in 2009. In September of 2008, Lehman Brothers filed for the largest bankruptcy in history. The collapse of this giant kicked off a global financial crisis. A few months later, Bitcoin was born. As a basic explanation, Bitcoin is bank-free internet money. Unlike the Dollar, the Euro, the Yen, and other forms of Centralized Currency, Bitcoin is classified as a Decentralized Currency. The standard currencies that define our modern economy are centralized in banks and controlled by the government (leading to the designation of Centralized Currency). There is no bank or central authority governing Bitcoins. Bitcoins are controlled by a network of users who control and verify the monetary transactions. Even though Bitcoin seems very unlike the forms of currency you are used to, it still functions just like the money people use every day. You give your Bitcoin to someone and they, in turn, give you goods or services. You can sell your lawnmower to your neighbor for a Bitcoin, just like you would sell it for physical currency. One huge advantage associated with Bitcoin is the fact that it is not centralized and not based on a native currency. Currently, your money is controlled by the country you live in. For example, if you live in the United States but you want to sell your lawnmower to someone in Japan, you can’t sell it for a Japanese Yen because the United States uses dollars. But Bitcoin is a world-wide currency. If someone in the United States buys something from a Japanese seller and pays with Bitcoin, there is no conversion rate, no bank delay, and no bank fee. The money is sent instantly and there are no attached fees. Bank closed? Banking hours are irrelevant with Bitcoin because there is no bank controlling your money. When we eliminate banks and are able to send a single form of payment regardless of geographical location, we truly create a global economy. After you buy your goods or services using Bitcoin, you are done. You’ve made your purchase and you can go about your day. However, what happens after your transaction is what really sets Bitcoin apart from Centralized Currencies. Your transaction, and every other Bitcoin transaction, is logged and recorded in what’s called a Blockchain. The Blockchain is a publicly recorded ledger of all Bitcoin transactions. At this point, other Bitcoin users who are referred to as miners, verify each and every transaction in the Blockchain. 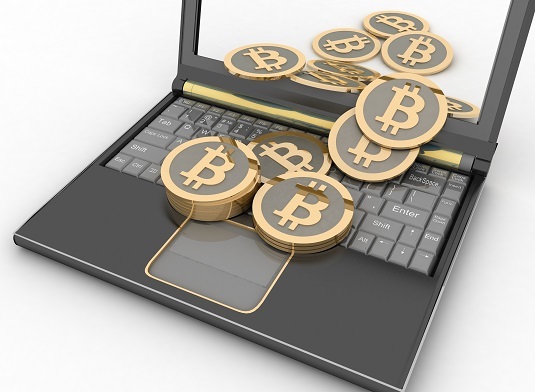 There is some concern over the anonymity of Bitcoins. Many initially believed it to be an way to pay for goods or services that could not be linked to individuals. However, with the trial of Ross Ulbricht, this has proven to be a false assumption. Ulbricht was arrested for selling drugs and using Bitcoin for the transactions. Every transaction is recorded in the Blockchain. While the main goal of tracking Bitcoin transactions is to prevent counterfeiting, it also makes the details of your deal a matter of public record. If your Bitcoin address can be traced to you, then your transactions are not anonymous. When the miner verifies a specified number of transactions, they get paid with newly created (or minted) Bitcoin. This process is how Bitcoins stay secure and how Bitcoins get added to circulation. This process works in the same way that the United States Mint uses to print money to add Dollars into circulation. There are currently over 16 million Bitcoins in circulation. As more Bitcoins are added to circulation, the creation rate is decreased. The number of Bitcoins in circulation is expected to never exceed 21 million, due to this decreasing creation model. Time to go convert your paychecks to Bitcoin? Maybe not yet. There are several retailers and websites that do accept Bitcoin (Overstock.com, Subway, and Whole Foods are a few examples), but most businesses have not signed up yet. One issue with Bitcoin, versus other currencies, is that Bitcoin is worth only what people are willing to pay for it. Bitcoins are not backed up by other commodities like gold, so the Bitcoin value has been known to fluctuate a great deal. In late 2009, a Bitcoin was worth around five cents. Today, it fluctuates between two and three thousand dollars. The debate continues to rage over whether Bitcoin will catch on as the prominent form of currency.